Kosmic Krystals' custom jewelry is highly desired for its unique and elegant designs, as well as excellent quality. You can hand pick gemstones from my inventory, or have your own special gem made into intricate art jewelry. I will work closely with you to create a completely custom design with specific gemstone types, properties, or style that you have been dreaming about. Payment is not required until after you have approved the finished jewelry. A supply deposit may be necessary if you want expensive gemstones that I do not have in inventory. Fill out the form below when you are ready to discuss your options. I will get back to you as soon as possible with a few options for design and pricing. 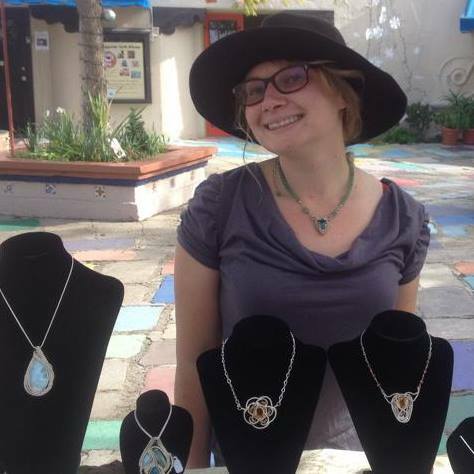 Are you ready to learn more about having custom jewelry designed for you in Kellie's signature magical style? When you are, please fill out the form below to give me more information to help create your ideal piece of jewelry.